• Mini Facial – Allow 30 mins – includes cleansing and exfoliation as well as a suitable mask application and moisturising. • Deep Cleansing Facial – Allow 1 hour – To deeply clean problem skin. Extractions through steaming if required. 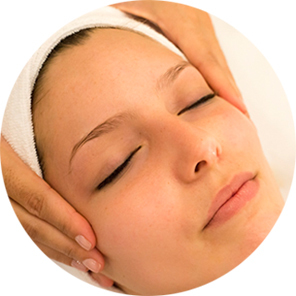 • Classic Facial – Allow 1 hour – Relaxing treatment to nourish and hydrate the skin. • Deluxe Facial – Total pampering with extended massage including hands and feet. Eyelashes tinted and eyebrows shaped. • ‘Just Males’ – Facial Allow 45 mins – Includes double cleanse exfoliation, extractions (if required) and moisturising. • Institutional Facial Treatments in Thalgo Ultraceuticals and emerginC available with consultation.